In the daily rush to get things done, it’s easy to forget about early childhood experiences in nature. The young children in our lives are experiencing these direct and intense observations every day relative to the exposure that they have to the natural world. Some foundations, such as the Tim Hortons Children’s Foundation, raise money to help children in need attend camps outside of the city. Since 1877 the Fresh Air Fund in New York City has provided opportunities for children in low income communities to attend summer camps. Currently they help 1.7 million children each year. With concerns, nowadays, that children are experiencing a nature deficit – it is more important than ever to know that children have the opportunity to experience the wild and unexpected beauty of the natural world. 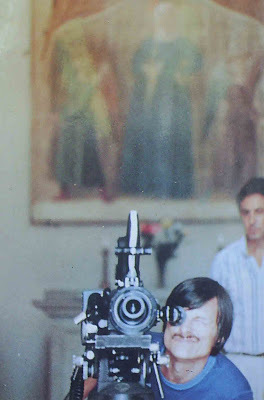 Andrei Tarkovsky was a Russian film maker who filmed images of rain outdoors; reflections; running water and fire; and, characters in the foreground of long panning movements of the camera. His films featured spiritual and metaphysical themes, long takes and images that are still celebrated for their exceptional beauty. The themes in his film focussed on dreams, memory, childhood, natural elements and characters appearing in the natural environment. 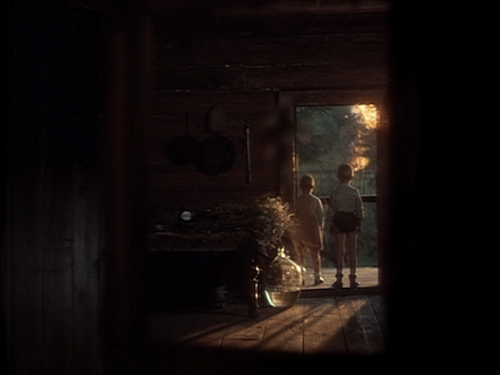 Ingmar Bergman once said that Tarkovsky opened invisible doors to where others could not enter. In The Mirror (see below), a child leaves his grandfather’s home and walks through the grass near a forest. The sequence is part of a nostalgic memory of childhood – experienced in dreams – that is shared by the narrator. The wind blows, we see elevated views of the land and we experience the stillness. Some of my strongest memories come from early opportunities to walk freely through nature and explore my surroundings. We see the value of this type of opportunity when we take the children in our lives into a large urban park or a rural location. The experience is open-ended and self directed. The child doesn’t need an adult to explain how to see but will reawaken our own ability to fully see the world around us. Note: To view the following video, you will need to click through to the related YouTube page.